Before stepping into the conference room, are you well-prepared for fundraising? 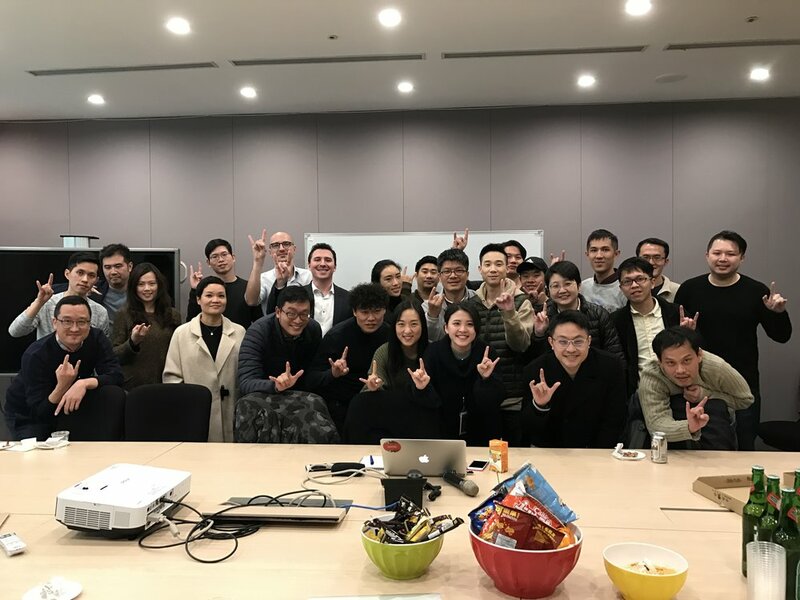 To find out what are some best practices communicating with investors, Leroy Yau, TSS Co-founder & Industry Development Lead shared his abundant experience at CEO Day, a monthly get-together of Starting Lineup member CEOs to discuss various topics related to going global. If you're sitting in the conference room, facing an investor and ready to start an hour meeting, how much time would you spend on the pitch? half an hour? 45 minutes? As much as possible? “You want to listen as much to the other side as possible,” suggests Leroy. "For an hour meeting, most of the startups will pitch 40 or 45 minutes. To be honest, that’s not very smart.” Without any interaction, investors often won't be interested in your company. As a general rule of thumb, don't spend over 30 minutes doing the pitch. Instead spend more time listening and trying to figure out what investors are looking for to get their attention! First, let's take a look to these two photos, which one would you respond to as an investor? "When I say, ‘Ask.’ Please don't just ask," says Leroy. There’s lots of preparation you can do before contacting investors, so instead of asking generic questions, research well beforehand. For example, find out their investment interests, what have been prior or recent startup investments or even their general preferences, etc. before the meeting. If you do your due diligence, you will definitely get better at targeting the right investor and also improve your chances at showing the investor that you are a good match. And, "Follow, follow, follow up!” urges Leroy. “I get all these Starbucks coffee [with founders] all the time, where people ask me for what they need,” and “I pay for the coffee for some reason, and they never say thank you," jokes Leroy. Here, Leroy points out startups have a perfect excuse to follow up with a “thank you” message, but many fail do take advantage of reconnecting with the investor. So how do you follow up? Here’s a good example where the startup offers additional information and also requests a second meeting with a specific time. “Set the deadline,” adds Arnold, CEO of Hahow. Help manage your own time expectations by respectfully including specific time frames for a response, follow-up, or meeting. "Why this? Why you? Why now? We've already talked about how long you should spend on the pitch, but what about after the pitch? "In angel rounds, the topic doesn’t matter that much. It's more about the person! Also, don't talk about the problem too much, talk about what you've done," offers Leroy. Since investors often are already quite familiar with pain points in their interested industries, spend more time focusing on your startup’s strengths, motivation, and future plans. Why this? Why you? Why now?" Make sure to address these questions in your meeting, and you’ll have your investor paying attention. Startup should be proactive, however, it also matters to do it in the right way, otherwise everything might be waste of time and effort. Now that you know exactly what you need to do when talking with investors, let us help you - TSS connects its Starting Lineup members to over 400+ investors around the world! Interested in joining our CEO Days or get help meeting investors? Apply to our Starting Lineup Membership program here, and we will see you next time! Content for this article was taken from TSS’s monthly CEO Day, which invites startup CEOs from our Starting Lineup program to discuss issues that are relevant to go-global startups, and a chance to meet other like-minded and ambitious CEOs.